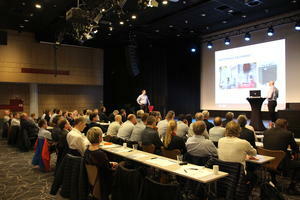 Unitech Power Systems AS has, on an assignment from the Norwegian Petroleum Safety Authority, conducted a competence development study (in Norwegian) to give a broader basis for evaluation of power from shore in comparison with conventional solutions. The purpose of the report is to provide a comprehensive overview of selected operators' experience with external power supply to installations. We consider hiring an academically strong candidate with 0-3 years' experience who enjoys learning and tackling demanding, professional challenges. Unitech Power Systems organizes courses and seminars on a regular basis. First and foremost is the "Unitech Elkonferansen" - a Norwegian language one-day conference that has been organized six times since 2011.